Some of my favorite summertime memories are of spending time with my best friend before I left for college.  Many long and lazy summer days we would sit outside in the Alabama heat cooling off with an ice-cold glass of fresh brewed tea. Sometimes we would sit around for hours talking, laughing and dreaming, while other times we were content to sit in peace and each write our own thoughts in our journals. And when the 4th of July rolled around, there would be a whole group of us hanging out by the pool, grilling, drinking ice tea and making wonderful memories. Today, 20 years later, our friendship is still as strong as ever. And although we may not be in the same city, we still have those long talks over the phone while sitting outside with a refreshing glass of iced tea. Not just any tea, but a delicious glass of fresh-brewed tea made with Bigelow Tea – no instant mixes for me! 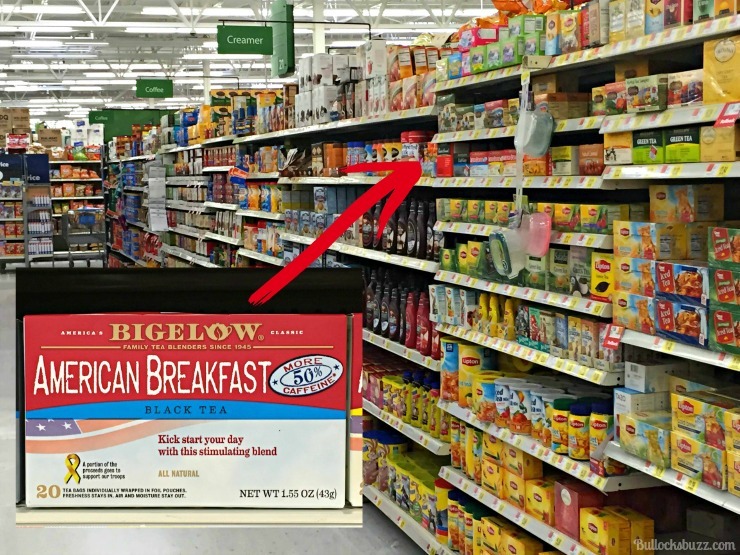 One of my favorite things about Bigelow Tea – other than the delicious taste – is the fact that they are truly an American company for the American consumer. 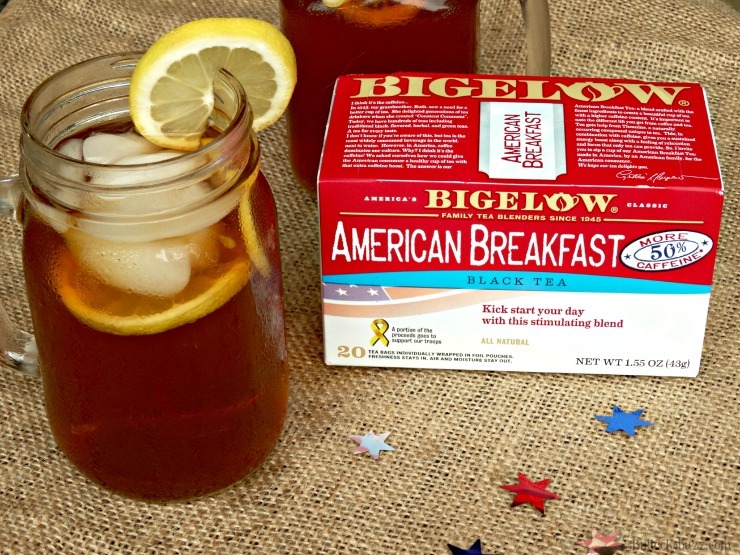 Bigelow’s family of teas are all 100% American made, and are grown and crafted with care by an American family. In addition, Bigelow Tea is committed to supporting our troops. 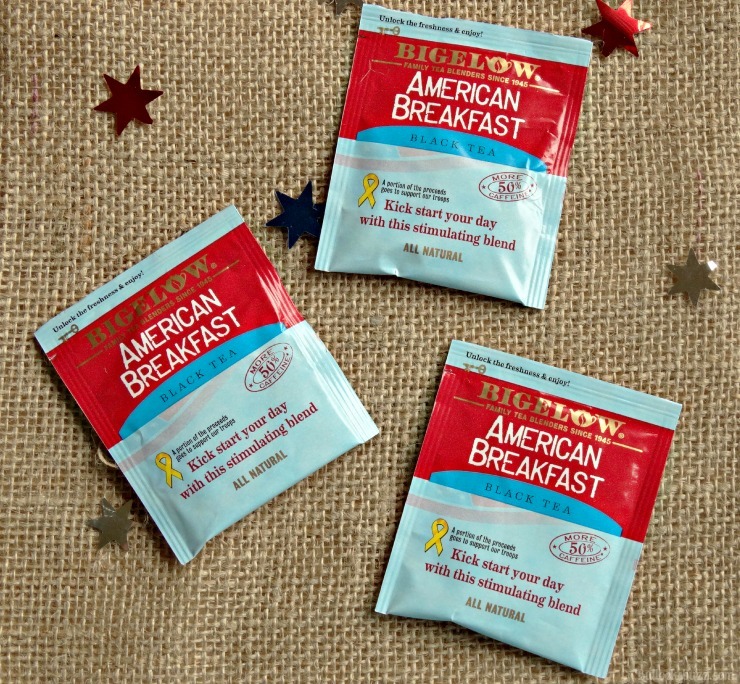 So far almost 4 million bags of tea have been sent to our troops overseas as part of Bigelow’s Tea for Troops program, and a portion of all the sales of the American Breakfast Blend go to say “thank you” for the sacrifices they make so we can enjoy the freedoms we all share. Sold at my neighborhood Walmart, I can find Bigelow fresh brewed tea bags in an assortment of delicious varieties. 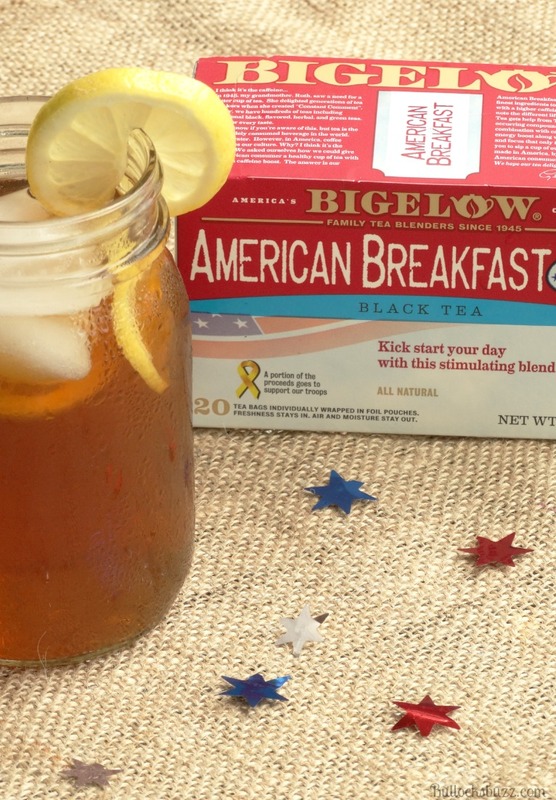 One of my favorite flavors is Black Tea from the Bigelow Tea American Breakfast Blend collection. 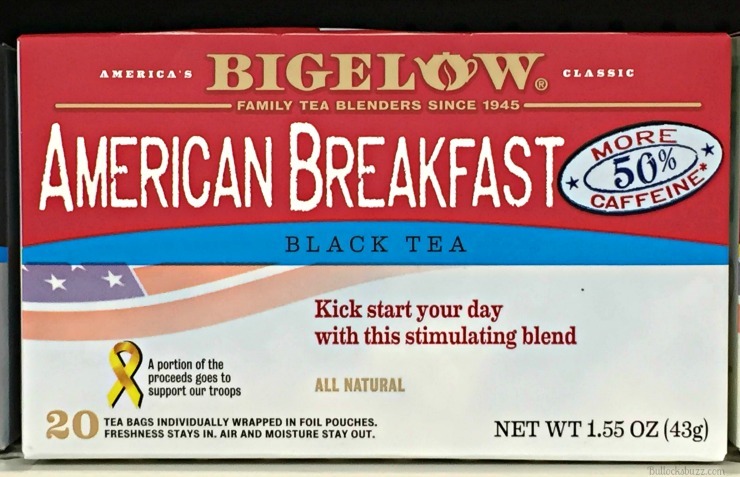 Individually sealed in a special foil pouch to protect the tea from any air, moisture or surrounding aromas, Bigelow Tea’s American Breakfast Blend Black Tea has a wonderfully deep flavor and fresh taste and aroma. It is absolutely delicious, and a slice of fresh lemon or a splash of honey is all it takes to bring it to perfection! 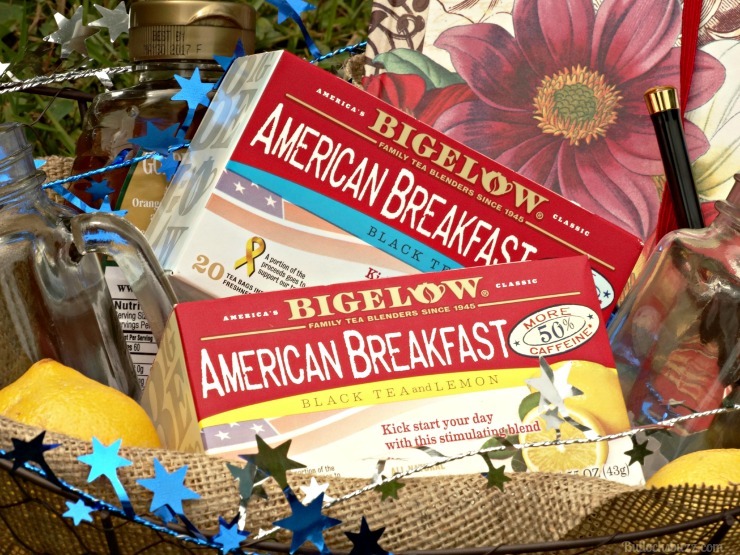 Occasionally I like to send my friend a ‘Thinking of You’ gift basket complete with a couple of boxes of Bigelow tea to remind her that I am thinking of her and those wonderful summer days! 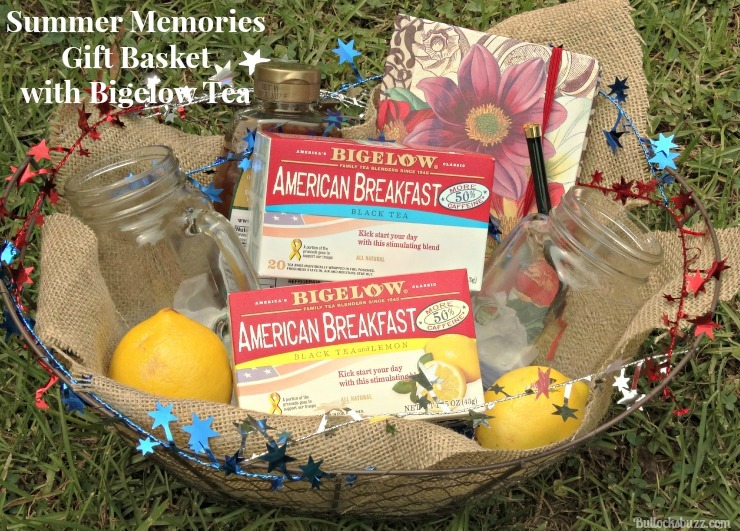 This ‘Summer Memories’ Gift Basket made with Bigelow Tea is quick and easy to throw together, and filled with care. It is the perfect way to let someone special know you are thinking of them, and it also makes an ideal gift for someone who needs a bit of ‘Me Time’! One fun thing about this gift – you can go as big or as simple as you like. Simply choose a cute basket or box, a couple of boxes of Bigelow Tea, and fill it with whatever else you’d like to include. I chose to make hers extra special this Summer and incorporated a bit of the 4th of July with some burlap padding, and red, white and blue foil stars. I then added 2 boxes of Bigelow Tea American Breakfast Blend, a fresh lemon, a jar of honey, a pretty journal with a pen, and 2 mason jar glasses that she can use to enjoy her tea on a hot summer’s day! Looking for one of the 50+ varieties of Bigelow Tea for yourself or to include in a gift basket? Visit the Coffee/Tea aisle at Walmart where you will find a great selection! What are some of your special summer memories you have surrounding a glass of tea? Some of the best times I had with my family were around the dinner table with a pitcher of tea as well!